HingePoint, a business in Dallas, TX, has announced the launch of a new ebook, which is a unique resource in the Autodesk industry. The company calls it 'The Ultimate Guide to Free Autodesk Resources'. The ebook is designed to help teach people about all the free and little known resources to enable them to maximize their investment in Autodesk products and subscriptions. 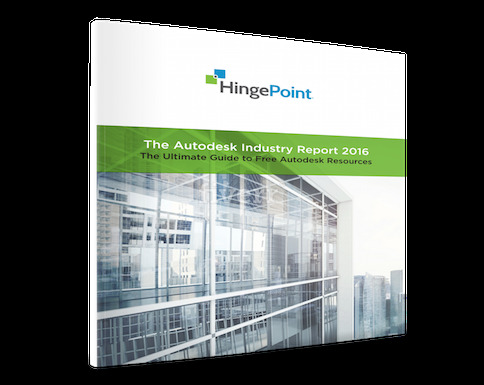 It is available through http://www.hingepoint.com/autodesk-industry-report/. These sectors are defining the future of the world. To enable businesses to use Autodesk tools properly, HingePoint encourages businesses to contact them for a consultation through http://www.hingepoint.com/autodesk-consulting-development-services/. HingePoint has checklists and tools available to access all the different Autodesk resources. They use this to teach and train their clients, and also to experiment and engage with the wider Autodesk community. As can be seen on their BIM consulting development page, http://www.hingepoint.com/bim-consulting-development/, they cover a huge variety of different topics. The company is a member of the Autodesk Developer Network, which means they have access to all the different resources. They have compiled these into a single report, which is the new eBook. It covers various topics, such as favorite Autodesk community forums; API developer blogs; free training resources; mobile apps; social media profiles and more. HingePoint provides AutoDesk, BIM and Revit consulting & services for the AEC industry with development & integration of AutoDesk products with enterprise systems. As members of the AutoDesk Development Network, they a trusted partner with over 25 years experience of systems development and integration work in the AEC industry. HingePoint supports development of Autodesk products including AutoCAD, Revit, M, BIM360 and are experts in integrating with enterprise systems including Salesforce, SharePoint & Office365. Their clients range from top hotel brands and restaurant chains, to AEC firms and real estate developers and Facilities Management. HingePoint provides AutoDesk, BIM and Revit consulting & services for the AEC industry with development & integration of AutoDesk products with enterprise systems. We Provide BIM with ROI. Results Guaranteed…Literally Guaranteed.